We rode horses through a private ranch in Lourdes and then swam in the pool formed at the bottom of this waterfall. 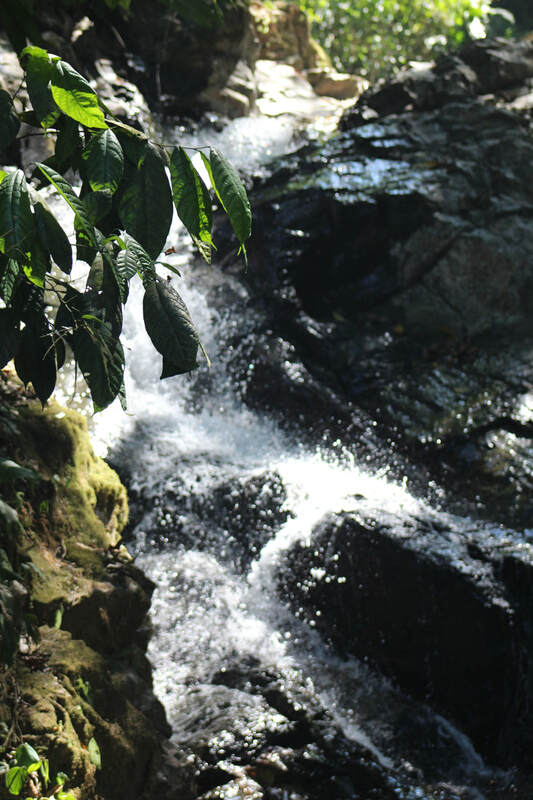 It was so refreshing to ride in the shade of the rainforest, and swim in a freshwater stream. The monkeys didn't bother us here. But they owned the beach. In groups of 3-4 they moved down the line of personal belongings left in the shade at the edge of the beach. They knew how to unzip back packs and helped themselves to whatever was inside. Our bags were searched as we entered the park to make sure we weren't carrying any food. The racoons were more obnoxious and less reasonable, refusing to leave despite efforts to chase them away. 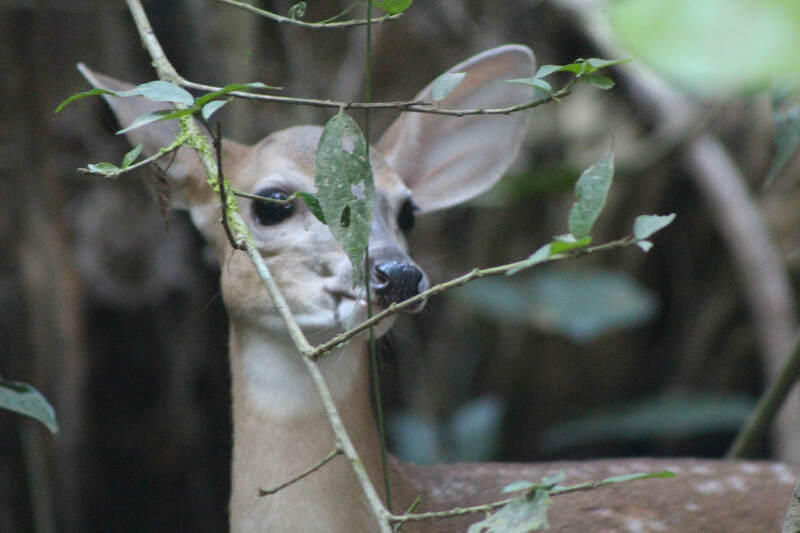 As we walked the paths (roads really, loaded with tourists and their guides) in Manuel Antonio park, a mama deer and her two spotted fawns paralleled us just inside the forest. They decided to just come out on the path right among us. Guides exhorted us to "move back, move back" so that the deer could feel comfortable, I guess. It was the same curious thing I've seen on trips in the past. Cows walk by, and it's like a novel event; white tailed deer walk by and it's like you've never seen one before. I remember counting 200 in an evening in the fields around Callahan. Apparently, there used to be a lot more in Costa Rica and they are trying to renew the herds. I know a farmer or two that would be glad to load up a truck and send them down. Oh, hunting hasn't been allowed in Costa Rica for a long time.